Home » Nightlife » Blackk is calling you! Blackk, with its stunning interior design and concept renewed for 2012 keeps its attraction of being the favourite point of Istanbul nightlife. The stylish crowd of the resto-lounge & night club will have surprise parties and unique events this year as well. Since 2005 Blackk sets a new level in Istanbul nightlife by offering a high quality night club atmosphere. This hip place is the unique meet point where the fashionable crowd keeps coming during all the year. 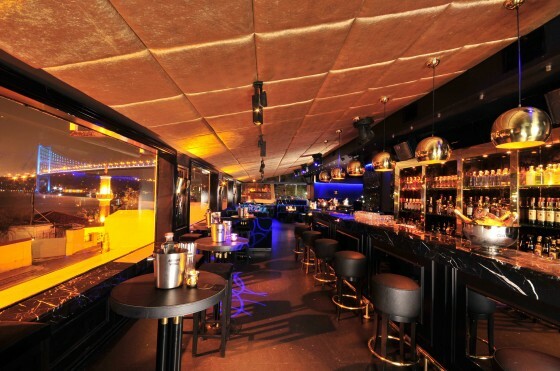 Blackk is purpose-built for resto-lounge and night club, and is decorated intensely in black. The overall look is a timelessly stylish take on the mix of Rococo and modernist aesthetics. Located on a unique place in Kuruçeşme, Blackk is offering a wonderful view of the Bosphorus. Blackk’s restaurant menu is a contemporary mix of world cuisine and inventive presentations. You can have your aperatif or organise a special dinner with your friends in Blackk and let yourself relax and enjoy the meals while contemplating Bosphorus. Blackk’s menu consists of a variety of favorites shaped by a well-experienced team headed by Figen Doğusoy and Emre Ergani. Visited frequently by foreign people living in Istanbul and the tourists who came to visit the city, Blackk is the point that İstanbul’s cosmopolit energy can be fully felt. The place turns on a high end club atmosphere in late hours. Packed with celebrities and an elite crowd become integrated with the elegant decoration and lighting, and outstanding music choices which are equivalent to world’s renowned clubs. A Blackk night touched by the special musics continues until the sunrise. The hottest club in Istanbul with its unique location fronting Bosphorus, Blackk is the first adress of mature individuals seeking intelligent and high quality nightlife in the city. Once you are in Blackk, be ready to VIP parties, special events and surprises.